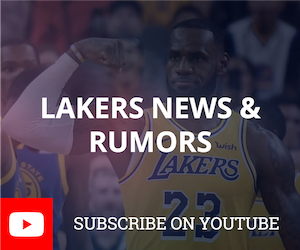 Top 5 NBA Free Agents The Los Angeles Lakers Could Sign During 2019 Free Agency is sponsored by BetDSI, the #1 sportsbook out there -- ready to show your sports gambling knowledge and win cash by betting on NBA? Head to http://www.chatsports.com/BET and use promocode NBA120 for a 120% deposit bonus! With the NBA trade deadline behind us, we take a look at this offseason and the Lakers 2019 Free Agency outlook. Who could the Lakers sign to play next to LeBron? We talk about options like Kevin Durant, Kyrie Irving and Kawhi Leonard and which one of them has the best chance of joining the Lakers next season! We also go over the like of Klay Thompson and DeMarcus Cousins and whether or not the Lakers could steal away one of the stars from the Warriors.